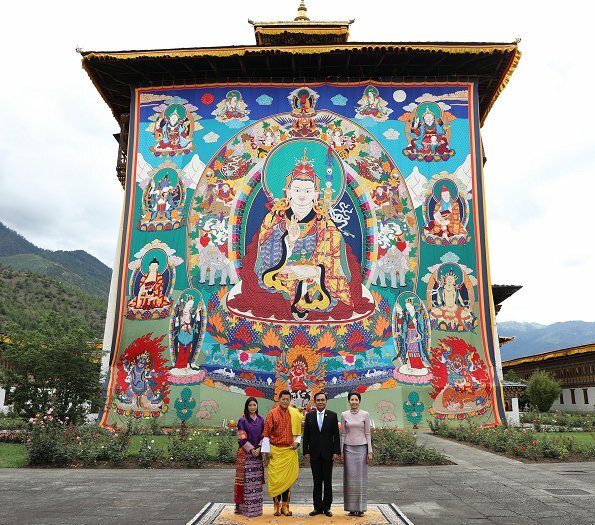 King Jigme Khesar Namgyel Wangchuck and Queen Jetsun Pema welcomed Thailand's Prime Minister Prayuth Chan-ocha, and his wife Naraporn Chan-ocha for the commencement of their State visit to Bhutan. Thai Prime Minister and his wife currently make a two day working visit to Bhutan. 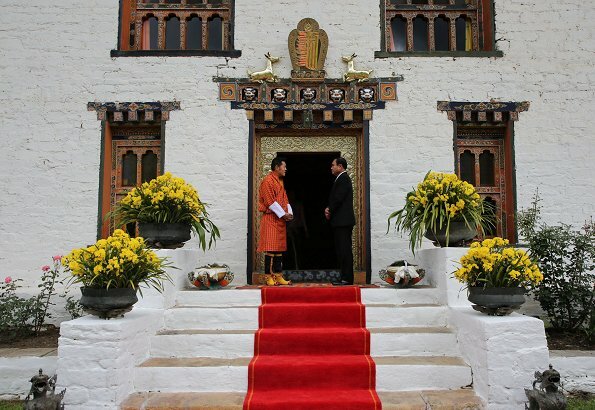 King Jigme Khesar Namgyel Wangchuck then hosted the Thai delegation at Dechencholing Palace. Prime Minister of Thailand will preside over the opening ceremony of the new office building of the Royal Thai Honorary Consulate-General in Thimphu. What beautiful strong color dress . The Queen looks fantastic, so does the Prime Ministers wife from Thailand. Beauty and Grace as usual. Both ladies are wearing very pretty outfits - I particularly like the pale purple outfit worn by the Thai Pam's wife. Some stunning photos of the insides of Bhutan! Amazing huge tapestry! Ah, the gorgeous look of silk...I see it in the lustrous skirt of the wife of the prime minister. 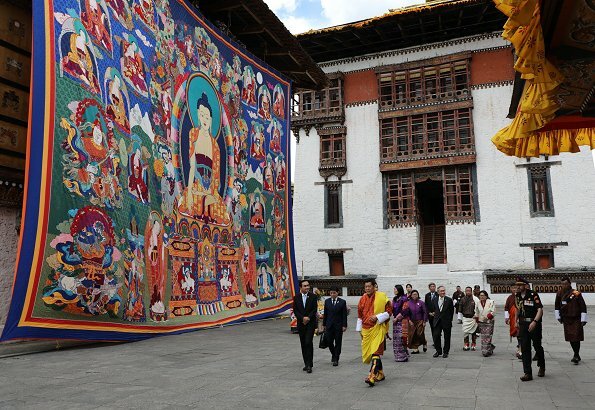 The queen of Bhutan's attire is also breathtaking as always, but I am not certain as to the type of fabric -- could be silk, but does anyone happen to know? No doubt it is woven of a traditional Bhutanese material.